After a long break I am back and am very excited to share some beautiful products with you! 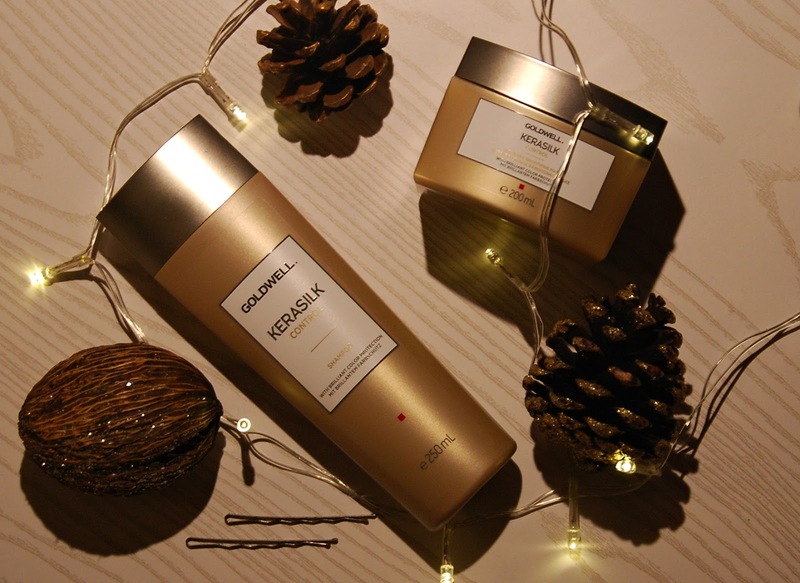 A few weeks back I got a Goldwell Kerasilk Control shampoo and hair mask and first of all I was amazed by the design of those products. They look so luxurious with thei gold packaging, very classic without any patterns or anything. And they have the most beautiful smell ever! I would say theu smell like premium fragrance- just so luxurious unique. The shampoo and mask are actually high-quality salon products and I have to say that I am in love with them! This range is created to smoothen your hair and it has brilliant colour protection too. During the process of washing my hair earlier on I could already feel the difference between this shampoo and my usual one. The hair is immediately smooth and so silky like never before! I haven't used the mask yet because I was in a hurry, but I will pamper myself after this stressful week is over. The mask comes with a lid that you screw off and then there is another lid to lift off plus a spatula, which is so great because you don't have to stick your whole hands into the tub opening to get the mask out. If you have long hair that is a bit difficult to handle and that needs a bit of help- those two products will be a great solution for you! And also, since Christmas is just around the corner- this range of products would make a great gift to an important girl/ woman in your life! Did you already get all Christmas gifts for your dearest ones? I actually haven't yet and I am starting to be nervous because of it if I'm honest!